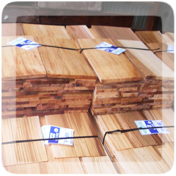 Probyn Export ships a full selection of Western Red Cedar (WRC) shakes and shingles around the world. Your customers will be delighted to have the breathtaking beauty and attractive qualities that Canadian WRC shakes and shingles can bring to a roof or side of a home or building. Our Western Red Cedar shingles and shakes are appreciated worldwide and enhance the look of homes, giving them a unique, Canadian look that is appealing to your eye. By selecting Western Red Cedar shakes or shingles, you will instantly give your building a woodsy, western appearance. Contact Probyn Export and speak with one of our representatives about how we can deliver the world's best wood shakes and shingles direct to you.